Markets are kissing success with the buzzes of digitization. 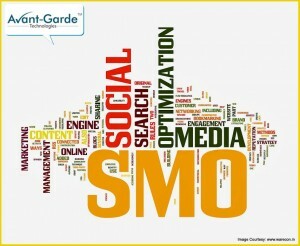 Such that entrepreneurs are willing to know what the SMM is about? Even the change has accelerated the marketers to learn the technical ad-hoc’s of SMM. SMM, originally used as an acronym for Social media marketing which has populated in developing a new mode of socializing with audience and buyers. However, brands are not well acquainted on how the very concept pave profitable earnings and create prospective buyers to facilitate their future growth. It is here, the Social Media Marketing Company steps in alleviating the brand get that competitive edge in the long run. Finding a proper Social Media Management Services would be quite a challenge but here in the post, I would like to be suggestive in helping you to realize what exactly would suit your needs. Frankly speaking with millions of social media accounts scrolling up on the twitter, Facebook, Pinterest, Google+ accounts, working with it is becoming too difficult. It is advisable to relate the four important factors before partnering with the company. First is Compliance: This purely indicates a cross exchange of creative as well as legal compliance, for designers, writers, even the specialist’s needs falls under the legal pursuits. Anyway, this is a different story which the IT Web Solutions agency does remain aware and do share the same information with their partnering clients. The styles are generic to a particular company, care by the media houses. Second is the Efficiency: This is possible once you track down the experience company personnel has been sharing with you. An interaction makes you aware how far the company has been organized enough to chalk a demo plan in the process. SMM needs to work in parallel with the improved time management. Timing or frequency of a particular advertisement campaign, publishing or posting of the calendars, blogs is very important. The company organizes ahead of what is airing on the social media platforms. The third is the Productivity: Part of the Cross-channel reporting potentials, the productivity section ensure to have comprised of the multiple social networks within a single interface under the feature “nice to have” or of the “must have” section. Say, Avant Garde Technologies, acting as the Social Media Marketing Company for La Lingerie socially went on promoting as the seasonal monsoon sales providing discounts on innerwear. All these help the marketing staff acquire a decent knowledge monitoring the social networking accounts. The seasonal word emphasizes both on the time as well as the must cross channeling section.